Our half term break will be Monday 18th to Sunday 24th February 2019. We will have crash courses available in the mornings. 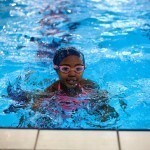 We are now taking bookings for our October Half-Term swimming crash courses. Please call 020 8509 6526 to book. Please note that Swim School is running as usual today. We will update again if anything changes. We are now taking bookings for next term : 15th May to 30th July for children aged 3 years and over. Call us on 020 8509 6526 to book a place.